Prime Minister Juha Sipilä spoke to media at the Terrafamen mine in Sotkamo, Finland on Monday, November 14, 2016. Photo – Lehtikuva. Prime Minister Juha Sipilä on Monday emphasised the government’s commitment on the nickel mining company Talvivaara. He said the state will not make a bad agreement for the Talvivaara mine with an external operator, adding, the state does not have a ready exit plan for ownership of the company. 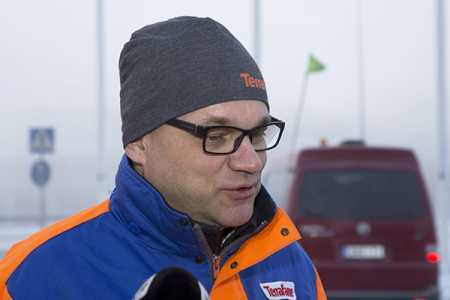 Sipilä was speaking at a programme at the Sotkamo mine in Kainuu where he expressed his astonishment at the changes in the mine’s environmental and handling issues, in which the impossible has been made possible. “The shutdown option is now buried for good. Now, it is assumed that this project will proceed to the end and provide environmental sustainability,” Sipilä said. The prime minister believes the mine’s operations will make a profit in 2018 in accordance with the company’s statement. “The most important thing is that the environmental issues have been resolved and the process has been resolved. The next stage is to make the cash-flow positive. It will then be easy to talk ownership arrangements. But we’re not going to make any bad deal,” Sipilä said.